A closer look at a Roland vs. a latex printer. Roland eco-solvent printers and printer/cutters empower your business with productivity and profitability that latex printers just can't provide. That's why, for over 20 years, more pros have chosen Roland. Don't settle for Higher Prices. Roland saves more. Latex costs more. * Based on printing CMYK, 8 prints per hour, 4 hours a day, 21 days a month. "Having technology like the Roland VersaCAMM allows us to be both innovative and price competitive. It fits right into our business model." Don't settle for limited versatility. Roland inkjets empower you to meet all your customers' needs, expand your product offering and grow your business like no latex device can. Integrated printing and contour cutting technology gives you the power to produce decals, labels, vehicle wraps and more in one seamless workflow, with one device. Change job types quickly and easily, without the additional investment or wasted operator time that comes with a latex. GREENGUARD Gold-Certified Eco-Sol MAX inks are fast drying, and include light black, metallic and white options for stunning effects that sell for an average of 30% more. Or you can spend 30% more on latex inks not available in light black, metallic or white, and do less. "Our Rolands empower our shop to print, lam and wrap non-stop. The quality, versatility and low running costs let us say 'yes' to any job that comes our way." High-productivity Roland. Time consuming latex. When you build your business on an inkjet printer, efficiency, ease-of-use, and uptime are crucial. Roland quality and reliability plus fast drying Eco-Sol MAX inks allow you to go from RIP and print to laminate and install without delay. Pros like NASCAR race teams and nationwide wrap installers rely on their Rolands to produce thousands of jobs a year at the high pace their businesses demand. With lower heat requirements and greater versatility, Rolands allow you to print profitable applications like heat-transfers and high-end displays. The result? Make more money, while spending less on electrical installations and temperature control. "We have a latex printer but we prefer not to use it much. It takes too long to warm up, only handles certain media, and is a hassle to set-up for each job. 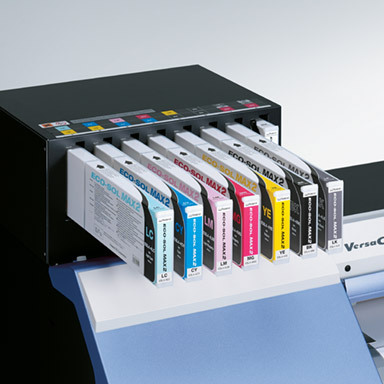 With our Roland, we load the media, push print and boom - it's printing." Don't settle for inferior machinery. Built for pros. Not for consumers. With a Roland inkjet, you get a greater build quality than latex devices. Problems with latex machines include inferior loading mechanisms that make loading media frustratingly difficult and add unnecessary time onto every print job. 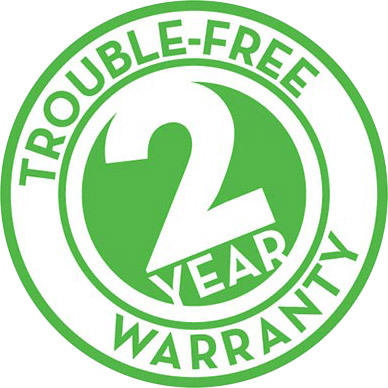 Designed for heavy day-to-day industrial operation, Rolands are famously reliable and long-lasting, and come with a 2-Year Trouble-Free Warranty to back it up. The best latex can do is tell you to spend a couple thousand more dollars on an extended warranty. Do the math. "Of all the equipment in our shop, the machines I wouldn't want do without are the Rolands. Fortunately, they're built like tanks, so I don't have to." Don't settle for average quality. Superior Eco-Sol MAX. Dull latex. Roland Eco-Sol MAX inks deliver fast drying and vibrant colors that maintain the matte, satin and glossy finishes of printed materials, providing print quality that is noticeably better than the always-flat colors produced by latex inks. Eco-Sol MAX, paired with media profiles available on the Roland DGA Profile Center, yield a wider color gamut than latex, allowing you to produce a broader range of colors, including better spot color matching. Roland's superior variable droplet technology prints in seven different ink droplet sizes, allowing for finer details, smoother gradations and a less "grainy" appearance when printing lighter colors. "There are so many other companies out there, but their quality is not as crisp. Our VersaCAMMs give us the versatility and high quality output we need to keep our edge in the market." Don't settle for less green. Eco conscious Roland. Power hungry latex. There is a misconception told by competitors that Eco-Sol MAX inks are not as environmentally friendly as their latex counterparts. This is simply not true. In fact, both Roland Eco-Sol MAX and latex inks are GREENGUARD Gold certified for low VOC's and indoor safety. The biggest difference is that latex inks use significantly more heat and power to cure, result in higher room temperatures, and only offer the same GREENGUARD certification that Eco-Sol MAX offers. Latex inks are also more per sqft. and less durable, making the case for Eco-Sol MAX clear. "In motocross, some companies advertise that they don't use inkjet printers – I advertise that I use Roland because the color is outstanding and the inks are eco certified." Don't settle for mediocre customer service. Industry best service. Industry average service. 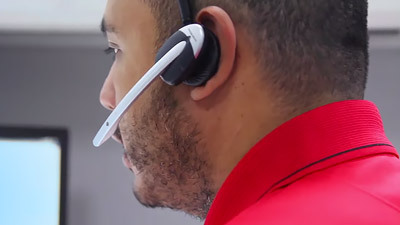 No other manufacturer matches the high-level of service and technical support that Roland provides every customer. When you buy a Roland, you get the backing of a company that's earned a worldwide reputation for customer care. Roland resellers are trained and certified to deliver the same level of quality support that Roland offers. So you can be assured, we've got your back. "Roland gets my business because they've earned my trust. Their technical support people are really responsive whenever I have a question or production issue." † Quotes from RCR and Outcast Kustoms are based on usage of equipment provided by Roland for evaluation. 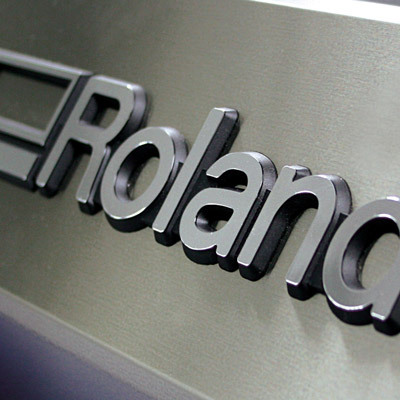 "The quality of Roland's machines makes our products look better. The equipment has to be there, or the graphics won't look good. We wouldn't buy anything else." 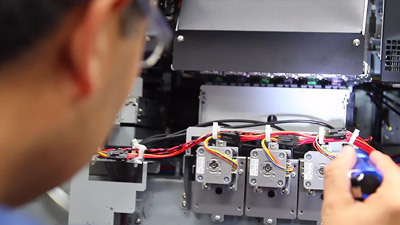 To learn more about the high-value, high-performance line-up of Roland eco-solvent inkjets, visit these product pages, or contact your Authorized Roland reseller.